A blog for students of the UW iSchool. A panel and workshop for postdocs and graduate students. Thursday, Apr 4th, 3:00-5:00 p.m.
What is a diversity statement? Why is it important? How do I describe my potential to contribute to diversity, inclusion and equity in academia and industry? Hear panelists talk about what they look for in a diversity statement when they are hiring; discuss expectations for a diversity statement in your job application; and begin writing one as part of the workshop. 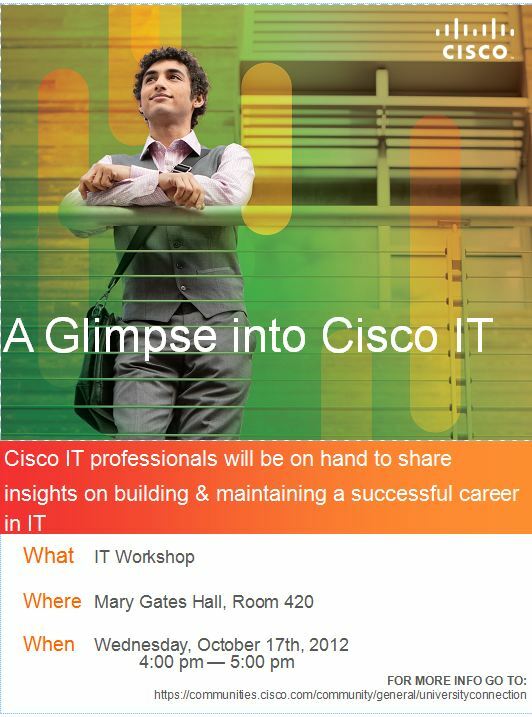 CISCO is visiting the iSchool and we want you to attend. Please check out the flyer below for more information.